Considering how long we spend living within our personal modes of transportation, regales Iain P W Robertson, it is astonishing that we spend significantly more time worrying about how the car looks on the outside. The Ssangyong Rodius and the Fiat Multipla are both MPVs…people-movers. However, do they deserve to look as though they fell out of one of the top boughs of the ugly tree, only to strike every single branch on the way down? While I cannot recall the name of the corporate accountant who fashioned the Fiat’s physiognomy, I am sad to relate that Mr Ken Greenley, a former senior lecturer at London’s Royal College of Art, a man with whom I have enjoyed at least one excessively boozy evening, did ‘style’ the Rodius…possibly under the influence of tincture, or two. Of course, the motoring scene has been blessed, or cursed, dependent on your view, with some genuine horrors over the years. Although it is undoubtedly popular, the Nissan Juke is a car that looks as though an errant pachyderm had taken a liking to it, as a squishy lounge chair. The BMW Mini Countryman is another immensely questionable design stance, which makes you wonder what medication the Munich art student that penned it had been prescribed by his GP. Yet, I can understand why many people choose their vehicles by their outward appearance, however superficial it might be. We live in the ‘Hello’ and ‘OK’ era, epitomised by the value of ‘the brand’. In fact, the TKMaxx’s of the retail world would not exist, had it not been for the desire of a sizable chunk of the population to acquire designer labels, whether they be ‘seconds’, ‘thirds’, or ordinarily would be sent to the recycling bin by their manufacturers, genuine, or counterfeit. Truth is, it is all very shallow, which is the key reason behind my admiration of the latest Volvo XC90 interior. I should also explain that scarcely anybody knows what the final car will look like, as nobody on our side of the fence has been allowed to see anything but the interior. Yet, what an interior! For a long time now, my erstwhile ‘colleagues’ in the motoring business have been declaring that the XC90 is old, long-in-the-tooth, beyond its sell-by date and so on. They criticise its appearance (so superficial) and elect to ignore that, in many ways, the XC90 SUV is not dissimilar to Citroen’s Picasso MPV…not by appearance but, rather, the fact that it sells strongly and is a mainstay of the rest of the range, without being a best-seller. However, when I first espied the XC90 at the 2002 British International Motor Show (held at Birmingham’s NEC, in case anyone recalls, or even cares), I was in awe of it. Peter Horbury, its intuitive designer, had created a car from the inside out, yet he managed to retain that distinctive Volvoness (a blend of clean conservatism and style integrity) in a vehicle that was actually among the last of the rash of new SUVs that had come to market just prior. It took a few months before the first examples were sold in the UK and Volvo knew it had a worldwide winner on its hands, as it only managed to scrape at the surface of the immense waiting list that had been drawn up. It was a classy performer in all guises, from base diesel to the bodice-ripping 4.4-litre, Yamaha-designed V8 engine destined for the US and Russian markets. 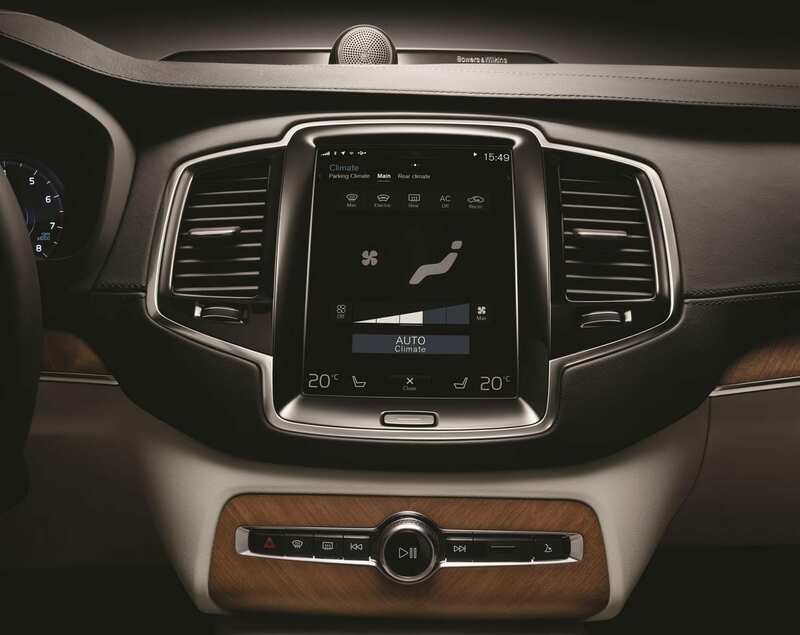 As with all of these things, a finite life exists and Volvo knows that the time has come to revive buyers’ interest in the XC90. Cleverly, by releasing the details of the car’s wonderful new interior, it is pandering to the hearts and minds of its customers and not the superficial parameters that most of its rivals serve. Removing button depression is a key aspect. 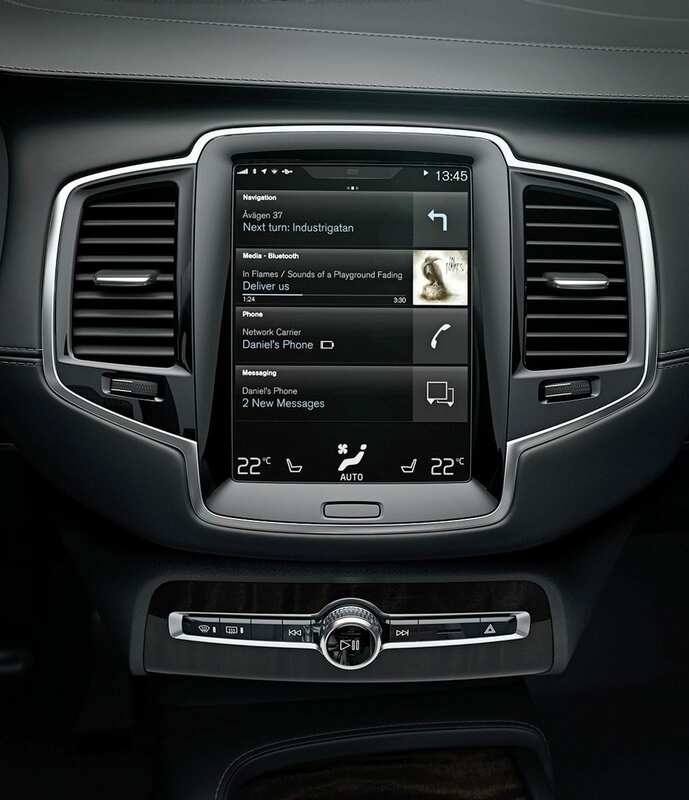 Instead of a mass of tactile switches, to be fair, of which Volvo was a master-builder, a new, portrait-format touch-screen replaces them. It is exceedingly elegant and will be appreciated by its customers, all of whom love a little toy, or two, to play with. 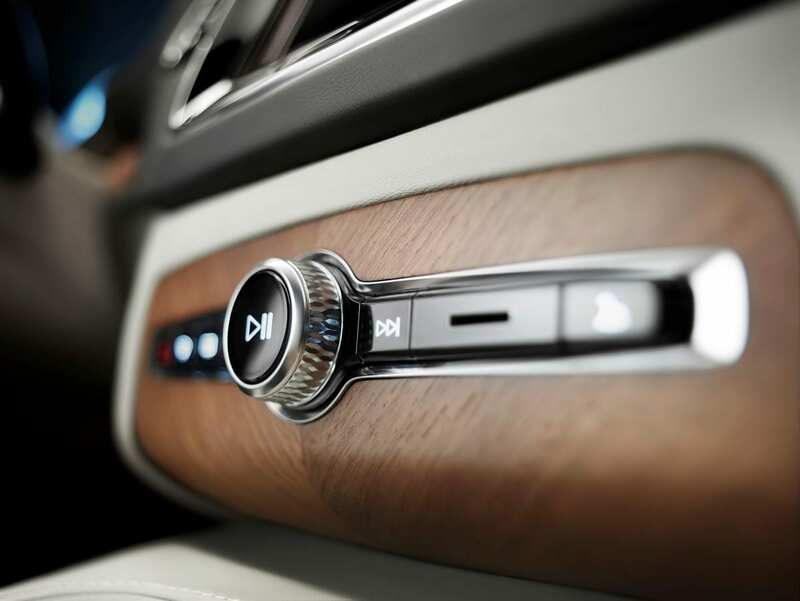 Other controls are located on the cross-spokes of the steering wheel, while the instrument binnacle is filled with customarily crystal-clear dials and white-on-black digital readouts. The quality of the various shades of wood trim is natural and tangibly beautiful. The hide selected for the seats, dashboard and other small trim areas is not only sustainable (just like the wood) but free of blemishes, pliant and comfortable. 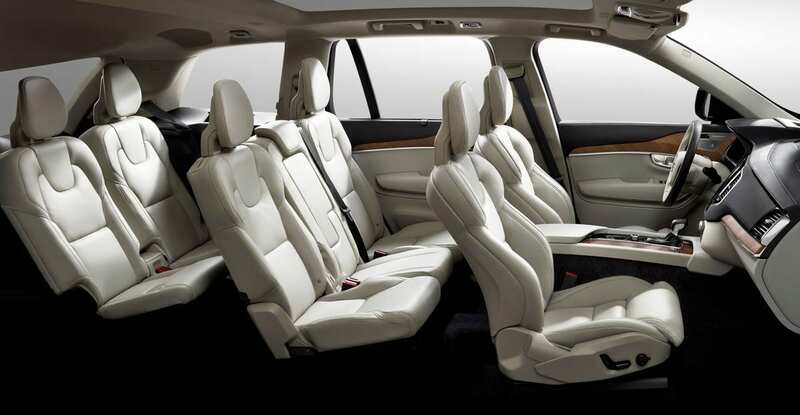 At no time will any occupant of the new Volvo XC90 feel short-changed by their environment. 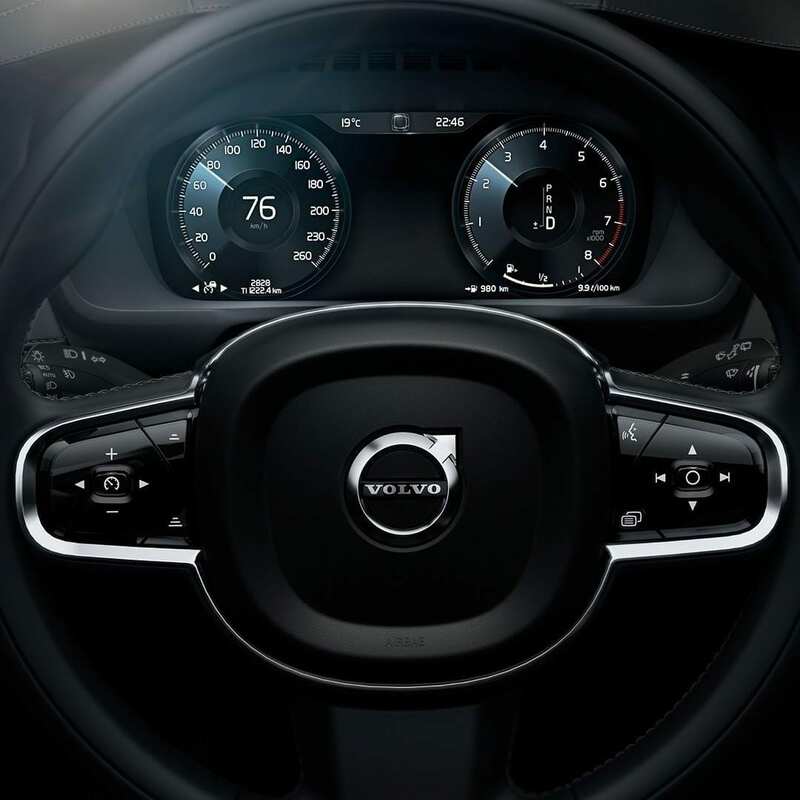 Volvo has always ploughed its own furrow and not relied on the effort expended by Audi, BMW, or Merc, for inspiration. Some might suggest, thank the good Lord. 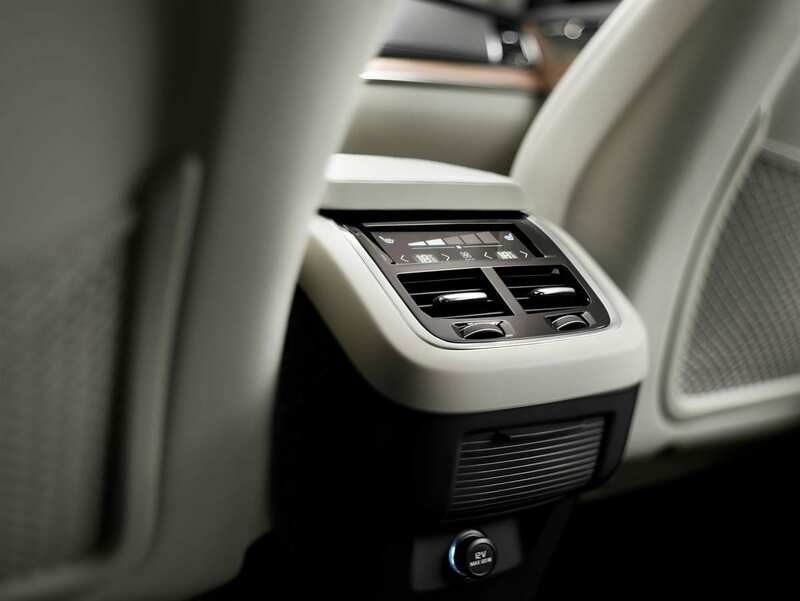 With this new interior, it sets fresh peaks of achievement that will influence its competitors. Conclusion: Naturally, how the new XC90 will look is anybody’s guess. It might be a dog’s dinner but, somehow, I doubt it. Volvo forges its own style manual and has remained true to its Swedish origins, a factor that has always been to its benefit. One thing is sure, it will be neither Rodius, nor Multipla, which has to be good for Volvo fans. Thank you very much for your comment, So You. « The Chateau des Milandes. A monument to Josephine Baker.